The 4th World Congress on Engineering Asset Management, WCEAM 2009, held at the Ledra Marriott Hotel in Athens, Greece from 28 to 30 September 2009, represented a milestone in the history of WCEAM. It was the first to be organised under the auspices of the newly formed International Society of Engineering Asset Management (ISEAM) who plans to host WCEAM on an annual basis as its forum for exchange of information on recent advances in this rapidly growing field.WCEAM 2009 was organised with the invaluable support of the newly formed Hellenic Maintenance Society (HMS) in Greece, who acted as the local host. The theme of WCEAM 2009 was “Engineering Asset Lifecycle Management – A 2020 Vision for a Sustainable Future” and fitted well with the lessons learnt from the recent financial and economical crises that impacted severely on the global economy and showed that a sustainable future requires consideration of the various lifecycle aspects of business, industrial and public good activities in their technical, organisational, economic, environmental and societal dimensions. The management of engineering assets over its lifecycle, which includes maintenance at its core, is a crucial element for global business sustainability and its importance is gradually being recognised by corporate senior management. Our seven distinguished keynotes at WCEAM 2009 presented developments in a number of these areas.  ISEAM envisions WCEAM as a global annual forum that promotes the interdisciplinary aspects of Engineering Asset Management (EAM). In view of this vision, WCEAM seeks to promote collaboration between organisations who share similar objectives and where particular matters of common interests are discussed. The program for 2009 included a number of special sessions organised by the EFNMS, EURENSEAM and the Manufacturing Technology Platform (MTP) on Maintenance for Sustainable Manufacturing (M4SM) of the Intelligent Manufacturing Systems international program (IMS). In addition, a session on modern maintenance training along with a dedicated e-training workshop on Maintenance Management was organised by the EU project, “iLearn2Main”. WCEAM 2009 brought together over 170 leading academics, industry practitioners and research scientists from 29 countries. Over 120 scientific and technical presentations reported outputs of research and development activities as well as the application of knowledge in the Engineering Asset Management. ISEAM gratefully acknowledges the support of Bayer Technology GmbH as Gold Sponsor, the Intelligent Manufacturing Systems – IMS international organisation as Satchel and Dinner Sponsor, the CRC for Integrated Engineering Asset Management (CIEAM) as Bronze Sponsor of WCEAM 2009 and the ATHENA Research & Innovation Centre as the Welcome Reception Sponsor. Function sponsorship was undertaken by Gefyra SA and Atlantic Bulk Carriers Management Ltd while the SBC Business Channel, the Supply Chain Management & Logistics Technical Journal, the Plant Management Technical magazines and Supply-Chain.gr portal were WCEAM 2009’s publicity sponsors. Congress chairs:WCEAM 2009 was chaired by Dr. Dimitris Kiritsis, Ecole Polytechnique Fédérale de Lausanne, Switzerland, and co-chaired by Dr Christos Emmanouilidis, C.E.T.I/R.C. Athena, Greece, and Professor Joseph Mathew, CIEAM, Australia.